Home > OPEC > What Will Happen in the Next OPEC Meeting? What Will Happen in the Next OPEC Meeting? The next OPEC meeting on the 2nd of June will act as little more than a forum for continued altercations between Saudi Arabia and Iran. The 2 June 2016 OPEC meeting will be held amid a backdrop of oil prices near $50 per barrel, a sharp drop in Nigerian production due to sabotage, turmoil in Venezuela, Saudi Arabia operating with a new oil minister, and Iran aggressively pumping close to pre-sanction levels. OPEC interactions have become a direct altercation between Saudi Arabia and Iran, with the remaining members reduced to mere observers. The new Saudi oil minister, Khalid al-Falih, will be attending his first OPEC meeting, but experts doubt he will have the same clout and skills as the outgoing Saudi oil minister, Ali bin Ibrahim Al-Naimi. "OPEC's unity is now in the spotlight more than ever," said an OPEC official. "Would we ever see a minister that carries the same weight as Naimi? I don't think so, especially as it is clear now that decisions are in the hands of the deputy crown prince," reports The Wall Street Journal. The Prince outlined his strategy in "Vision 2030", and a major step in that direction is the listing of the state-owned oil company Aramco. In order to gain additional traction for the proposed listing, the Saudis will continue their aggressive stance in OPEC, and keep all the oil producers on the hook, a glimpse of which was given by the new Saudi Aramco Chief executive Amin Nasser. "Whatever the call on Saudi Aramco, we will meet it," Mr. Nasser said. "There will always be a need for additional production. Production will increase upward in 2016," reports The Financial Times. Though Mr. Nasser did not hint at the percentage increase, even a small increase will add to the supply glut, because Aramco produces around 9.54 million barrels per day (bpd). On the other hand, its adversary—Iran—has quickly ramped up production to 3.56 million barrels per day and is on course to reach its targeted output of 4 million bpd. Iran has increased its market share in the excess supply environment by offering large discounts, undercutting the Saudi and Iraqi prices for their deliveries to Asia. Though Iran had initially hinted at joining any production freeze once it reached its target of 4 million bpd, the heightened tensions with Saudi show no signs of abating. "Our main competitor is Saudi Arabia," Amir Hossein Zamaninia, Iran's deputy oil minister for international affairs, said in an interview with The Wall Street Journal. 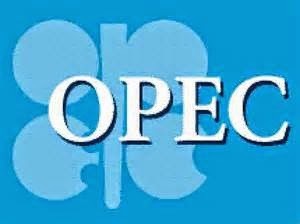 Mr. Zamaninia said Iran disapproves of increased politicization of the OPEC. "In the Southern Persian Gulf, oil is becoming a political commodity, more than an economic commodity," he said. "OPEC is in a difficult situation." He said that without solutions to the conflicts in Syria and Yemen, an agreement is unlikely. The relations between the two warring nations have reached a new low, with Iran refusing participation in the Hajj pilgrimage. The negotiations between the delegates of the two nations ended in conflict. Considering the existing tensions between Iran and Saudi Arabia, if the OPEC meeting ends without a fight, it should be considered an achievement. The proposal by the Kuwaiti deputy foreign minister Khaled Jarallah for the member nations to freeze production is a feeble attempt to support prices. "It is clear that Mohammed bin Salman wants to confront Iran not just in the Middle East but in the energy markets," Amir Handjani, a member of the Board of Directors of the Dubai-based RAK Petroleum, told RT. He said that it was unlikely that Prince Salman will back down now. "And certainly the Iranians are not going to back down either," reports Hellenic Shipping News. While these two nations continue their slugfest in the OPEC meeting, the smaller nations have no choice but to remain mute spectators, dreaming of their glory days.